Jed Mercurio's ridiculous and ridiculously tense paranoid thriller is relentlessly pulse-pounding television. Jed Mercurio, the mastermind behind the nail-biting Line of Duty, blows his way back onto BBC One in style with this latest hit, Bodyguard. A tale of bomb defusal, political betrayal and personal vendettas, the result is the most nail-biting piece of TV since, well, Line of Duty – and that’s just the opening 15 minutes. Mercurio’s script, helmed by Thomas Vincent (The Tunnel), gets off to a blinding start, as we saw copper and war veteran David Budd (Richard Madden) sniff out Nadia, a possible bomb threat on a train. Is he correct or just suffering from PTSD? That’s the question set up to drive the whole series, and Mercurio deftly avoids tipping his hat either way for as long as humanly possible. That gives Madden plenty of ambiguity to play with, as Budd is assigned security guard duties for Home Secretary Julia Montague (Keeley Hawes). She has her own enigmatic stance to decipher, as she pushes through a controversial new counterterrorism bill, and the line between duty of care and political resentment begins to blur before the first hour is even up. Their dynamic is immediately riveting to watch unfold, thanks to a combination of sparky chemistry and the knowledge that either of them could be bumped off by Mercurio (crime drama’s answer to George RR Martin) any second. Hawes is wonderfully ruthless and cool as the calculating politician, while Madden clearly relishes the chance to take on a lead role, his bodyguard perched on a knife edge between calm and total collapse – an unpredictable performance that proves the pivot around which the paranoid thriller turns. As major national incidents play out in person and on the news afterwards, Hawes’ would-be PM is quickly surrounded by people with equally dubious motives, from bitter former employee Chantel to suspicious aides rushing around with last-minute briefcases and an endless string of shady-looking police officials who all might as well be wearing t-shirts saying “corrupt”. Budd, though, isn’t immune from scrutiny either; as he and Hawes get caught up in an exciting firefight, it becomes apparent that he knows the shooter, a former trooper who shares Budd’s anger at the UK government’s decision to go to war in the first place. Just as Nadia (the impressively layered Anjli Mohindra) proves more complex than she seems, could Budd also be much more than our preconceptions lead us to expect? Mercurio is a master of pacing, and he keeps the cliffhangers and revelations rolling out at a steady rate, all the while dropping in topical bombs – Kompromat! Leadership contests! Moles! Security leaks! – that make everything feel wonderfully plausible. Of course, it isn’t at all (the script winds a tight path between the ridiculous and the ridiculously gripping), but there’s barely time to think, thanks to a carefully placed televised speech halfway through. Even as the second half leads to some anti-climactic exposition dumps and some double-anti-reverse-non-bluff-twists that question logic as well as their wider social impact, that non-stop drip-feed of suspense is what makes Bodyguard such frightfully addictive TV. Mercurio elegantly echoes his opening sequence as things draw to a close, but scales everything up to span a bumper 75-minute chapter. The show never really recaptures that introductory set piece’s tension, but your blood pressure is sustained at a high enough level throughout to make any occasional blip along the way either forgivable or a relief – and to leave you craving another hit once the credits have rolled. 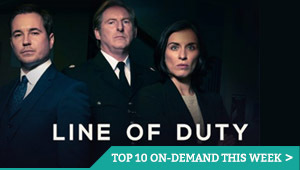 Whether we get a second season or not (and the odds are favourable that we will), the one consolation is that it’s now not that long until Line of Duty returns. This time, though, it’ll have a new standard to live up to. This is relentlessly pulse-pounding television. Bodyguard: Season 1 is available on Netflix UK, as part of £7.99 monthly subscription. Where can I watch Bodyguard: Season 1 on pay-per-view VOD?